Destroys sticky residues: chewing gum, tape, stickers, tar, grease, oil, adhesive etc. Can be used on glass, wood, metal, worktops, fabrics, tiles and more. 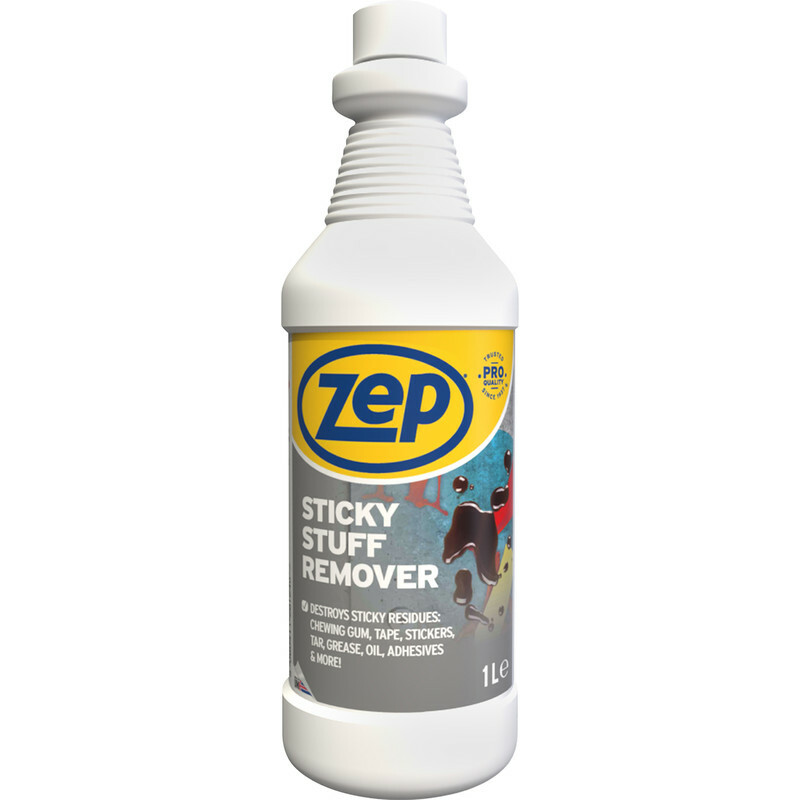 Zep Commercial Sticky Stuff Remover 1L is rated 5.0 out of 5 by 1.